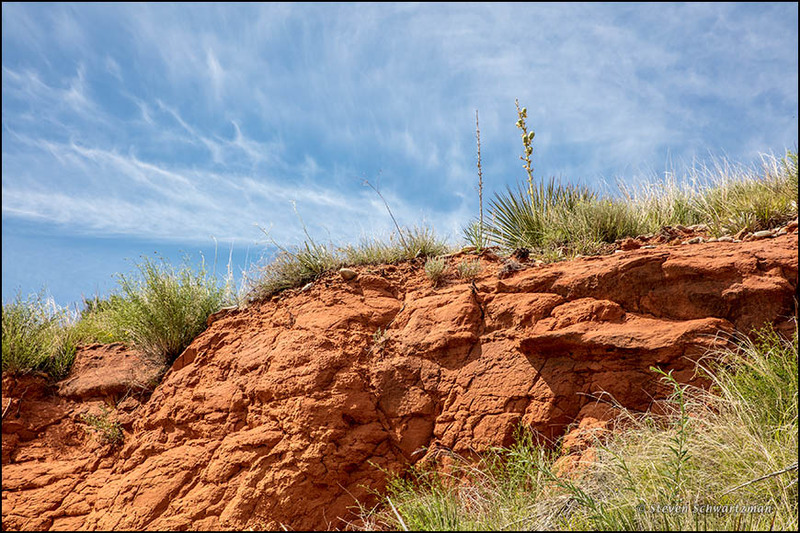 To allow FM 1431 to cross the Colorado River just south of Kingsland in the Texas Hill Country, engineers had to cut the roadbed through the flank of a steep hill. 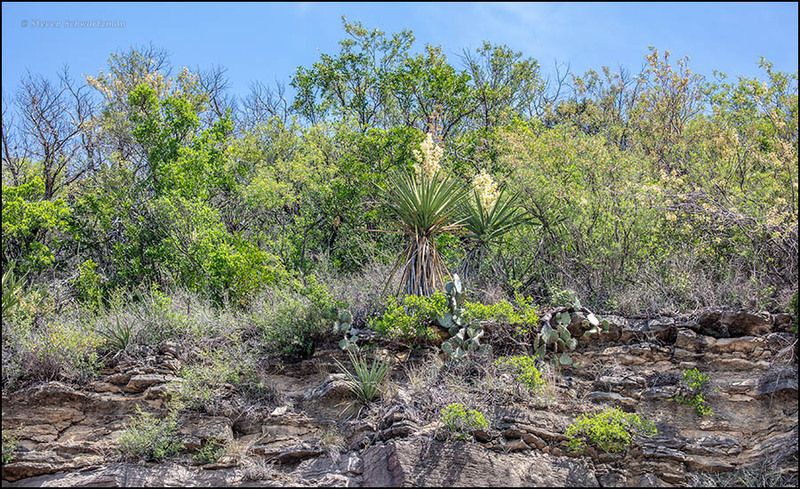 The result was an even steeper cliff, and it was at the interface between that cliff and the untouched hillside above it that these yuccas were flowering on April 4th. 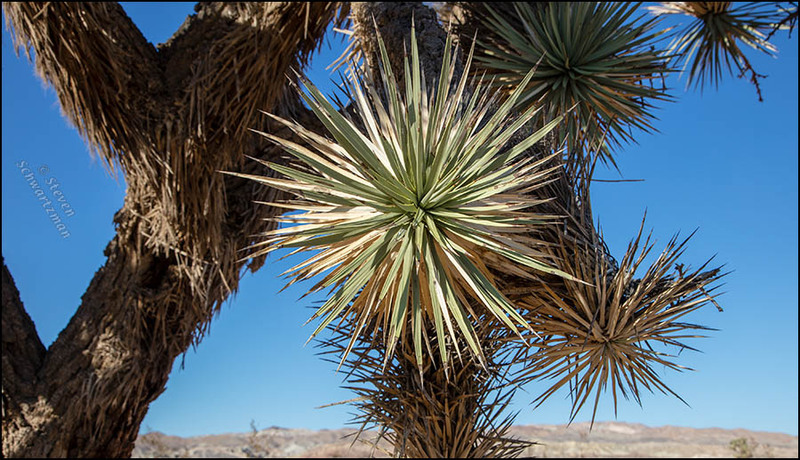 Sources show three species of yucca in that county. I’m leaning toward Yucca torreyi; Yucca pallida and Yucca constricta are the other possibilities. 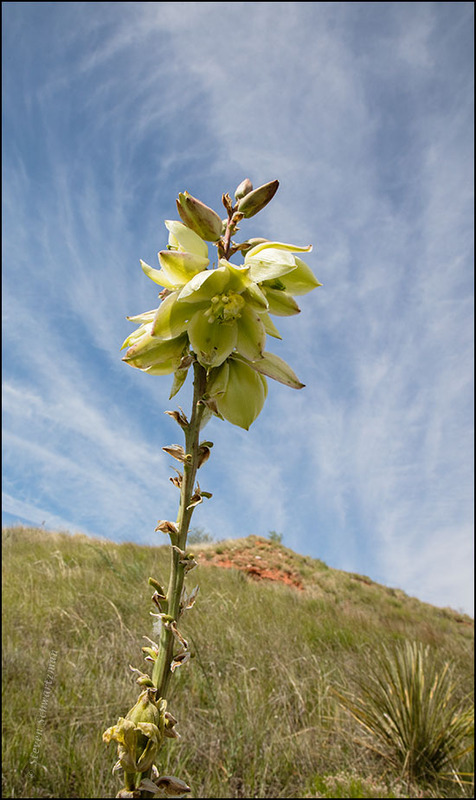 Probably the most numerous and certainly the most prominent flowers we saw in the Texas Panhandle on May 27th were those of Yucca glauca, known as soapweed yucca, plains yucca, and narrowleaf yucca. 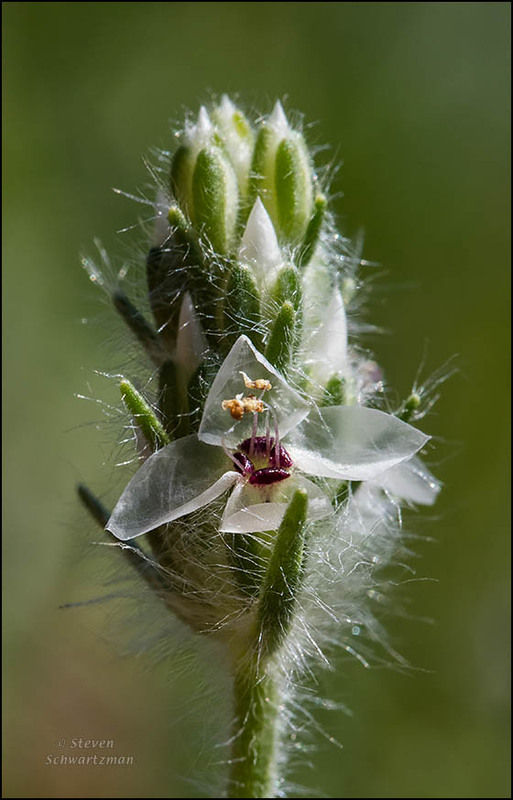 This species grows natively from Texas through Alberta, so it followed us on our trip through the Oklahoma Panhandle, Colorado, Nebraska, South Dakota, Wyoming, Colorado again, New Mexico, and back into west Texas. Today’s photograph is yet another one from the Alibates Flint Quarries. 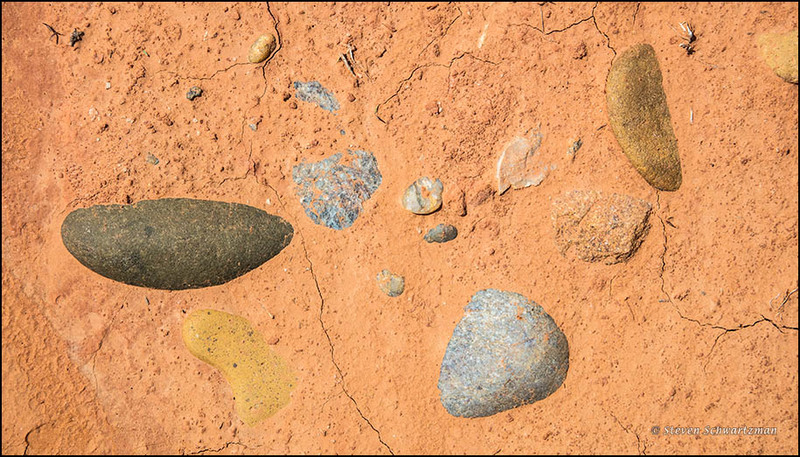 The orange earth in the background was within sight of the place shown in yesterday’s second picture. I got close to a substantial Joshua tree a few miles north of Barstow, California, on October 25. 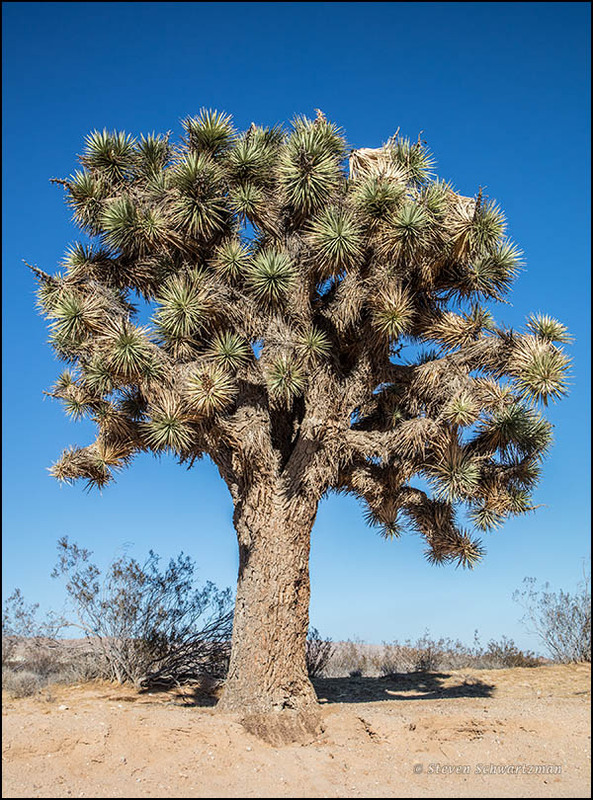 Despite the common designation of “tree” based on the presence of bark and a sturdy trunk, the scientific name Yucca brevifolia tells us that the plant is actually a yucca. Surprise. A closer look at a cluster of Joshua tree leaves clearly shows their yucca-ness. 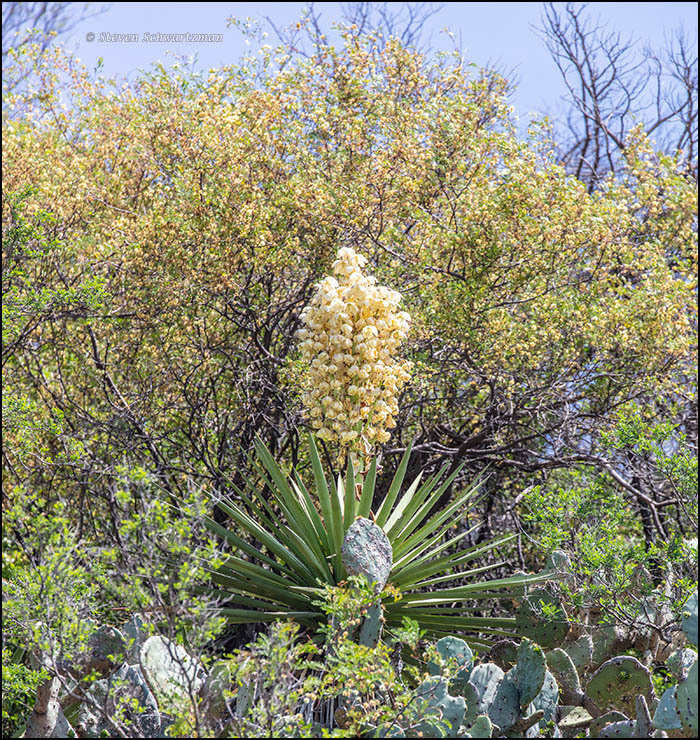 Yuccas in central Texas are a lot smaller than Joshua trees, but west Texas has some closer in stature to California’s giants. 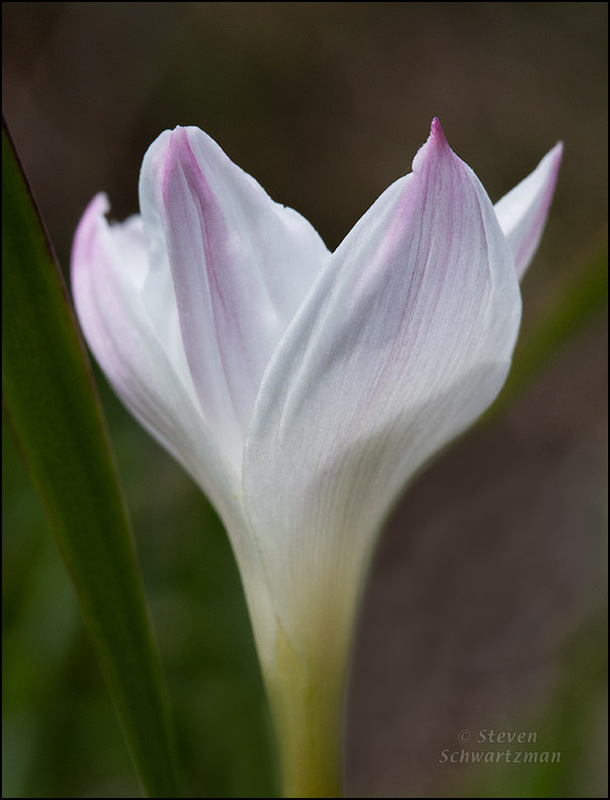 After the appearance of this picture a week ago, Gallivanta suggested repeating it today, this time with the rain-lily (Cooperia pedunculata) symbolizing several things. For her it’s her father’s birthday (best wishes). May 8 is also World Red Cross and Red Crescent Day. In 2016, May 8 happens to be Mother’s Day. In 1945, the Allies celebrated May 8 as VE Day, Victory in Europe over the forces of Nazi Germany. That same day and year also saw the birth of my childhood friend Michael Kindman, who unfortunately died young a couple of decades ago. If you’ll indulge me for having decided “to paint the lily,” as Shakespeare put it*, here’s yet another photograph from a month ago today at the Doeskin Ranch. Adjacent to a yellowing twistleaf yucca (Yucca rupicola) leaf I found a Heller’s plantain (Plantago helleri). 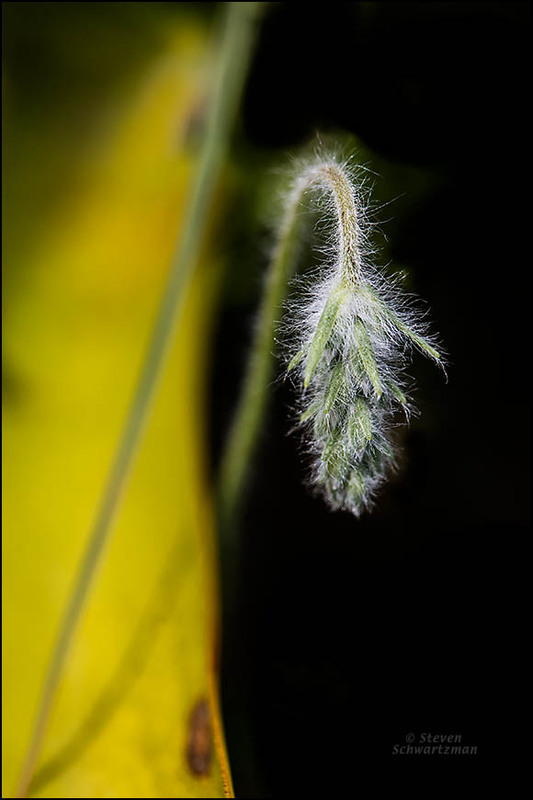 This little plant(ain) typically goes through the nodding phase you see here before straightening up and producing tiny flowers. Somehow in public memory the two metaphors in the third line have merged, with the result that we now encounter the incorrect phrase “to gild the lily” more often than the correct one. 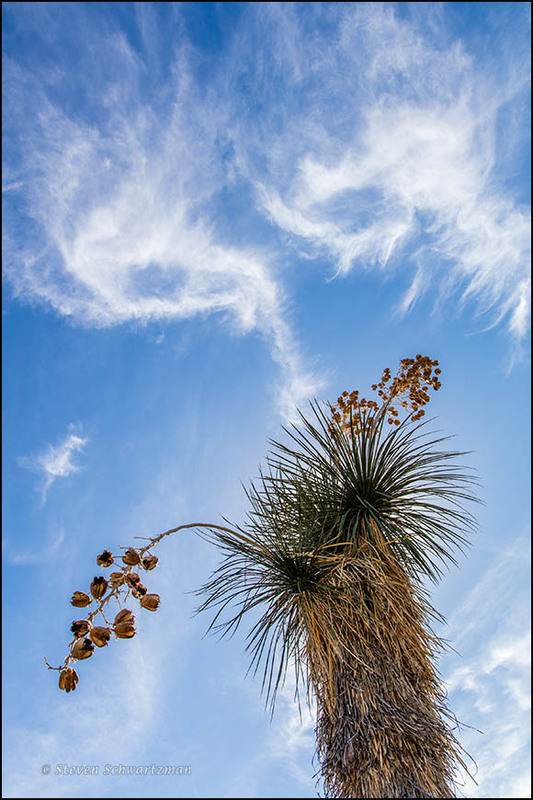 After yesterday’s downward-looking view at the earthbound remains of a yucca that seemed to me to be a headless porcupine, I thought I should show you an upward-looking view of a tall yucca from November 22 in the western portion of Big Bend National Park. It may be a Faxon yucca, Yucca faxoniana, which one of my books says can grow to 9m (29 ft.). If you haven’t gotten enough of the imagining game, you’re invited to check out the pair of wispily masked baby-blue eyes in the sky peering down over a likewise wispy nose. 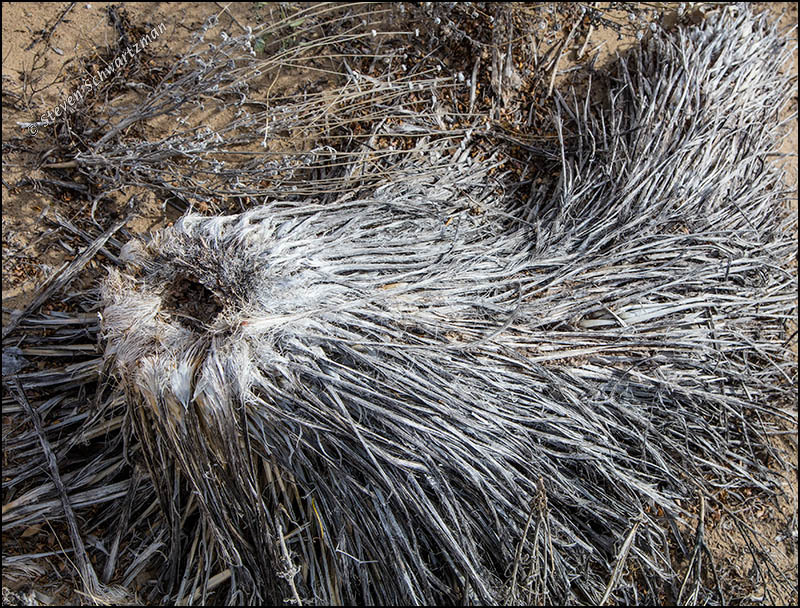 This time I saw a headless porcupine but it’s actually the dried-out remains of the lower part of a yucca plant—a common sight in the Chihuahuan Desert. The depression at the left is the place from which the plant’s tall stalk once emerged. I took this picture on the west side of US 385 inside Big Bend National Park on November 23rd.